Choose from two courses, a 5K or a 10K. 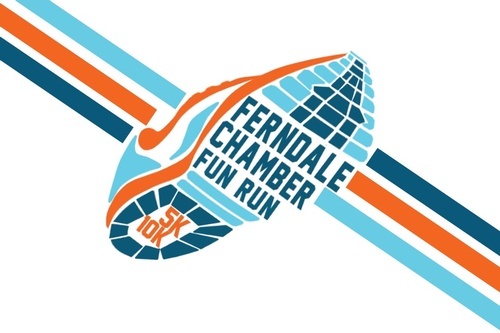 Each course will showcase some of the beautiful Ferndale city parks. Dress in bright spring colors or something as fun as a bumble bee or flower and come run, walk or crawl with us! Feel free to bring your leashed 4 legged friends, as this is an outdoor event. *Children under 5 are free, but will not receive a t-shirt. I understand that walking and running in races are potentially hazardous activities. I should not enter and run or walk in the Ferndale Spring Run Off (the “Event”) unless I am medically able. I agree to abide by any decision of an Event official relative to my ability to safely complete the Event. I assume every risk associated with participating in the Event including, but not limited to, falls, contact with Event participants or volunteers or with vehicles, the effects of the weather, and course conditions. Having read this waiver and knowing these facts, I, THE UNDERSIGNED, Parent/Guardian, assume all risks and hazards incidental to participating in the activity and do hereby waive, release, absolve, indemnify and agree to hold harmless the Ferndale Spring Run Off, Ferndale Chamber of Commerce, the City of Ferndale, Whatcom County , sponsors and organizers and their representatives, businesses participating in this event, and affiliates from all claims and/or liabilities of any kind arising out of my participation in the Event. I also grant permission to all the foregoing to use any photograph, motion picture, recordings, or any other record of the Event for any legitimate purpose. No refunds for cancellations during the week of the race.